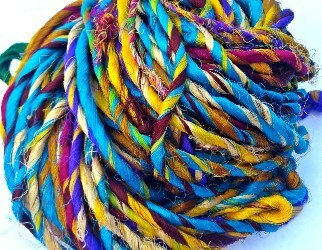 Brilliantly coloured twisted yarn made from mulberry silk. It feels almost like a cord. Each skein has a different combination of colours, which may not be as shown.